Children learn a plethora of new things everyday. Proper dental hygiene is something that should not only be taught at a very early age but also reinforced until a solid brushing and flossing regimen is established. Children are often not aware of how important their oral health is and it is imperative to not only instill good oral hygiene but also inform kids of the complications that can arise if they fail to take care of their teeth. Visiting your local dentist in Staten Island throughout adolescence is a must because at these formative years there is so much that can be done to shape the teeth and mouth and possibly preventative nip the cost of future extensive dental work in the bud. 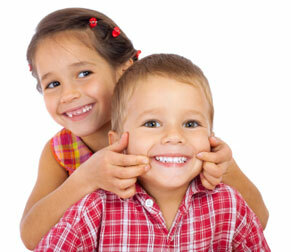 Dentist visits should start at about 4-5 years of age and should be made once every 6-12 months. X rays are taken of the child’s mouth; an exam and cleaning are performed. 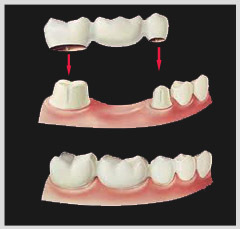 From this a dentist can tell if there are impacted teeth, dental traumas, and bone damage among other problems. Undetectable issues without an x ray will most likely worsen if left untreated. Fluoride treatments are also recommended as they strengthen the teeth so they are able to stand up against sugar and bacteria and fight the formation of plaque. Fluoride comes in many forms like gel, foam, or varnish and it is up to the dentist as to which is best for the patient. Here in New York and the tri-state area, fluoride is added to the water so at home fluoride rinses or pastes, I feel, are not needed. Filling may also be administered to teeth that have cavities or are cracked or even decayed teeth, putting a halt to any further damage. Remember that even if you don’t see a problem in your child’s mouth there could be issues going on in there that only a dentist can find. Prevention is definitely the key that will save you numerous headaches and costly bills if these issues are left to continue. Please contact us with online inquiries at http://drmarianadds.com/contact-us/ and to make an appointment call our Staten Island Dentist Office at (718) 494-2200.